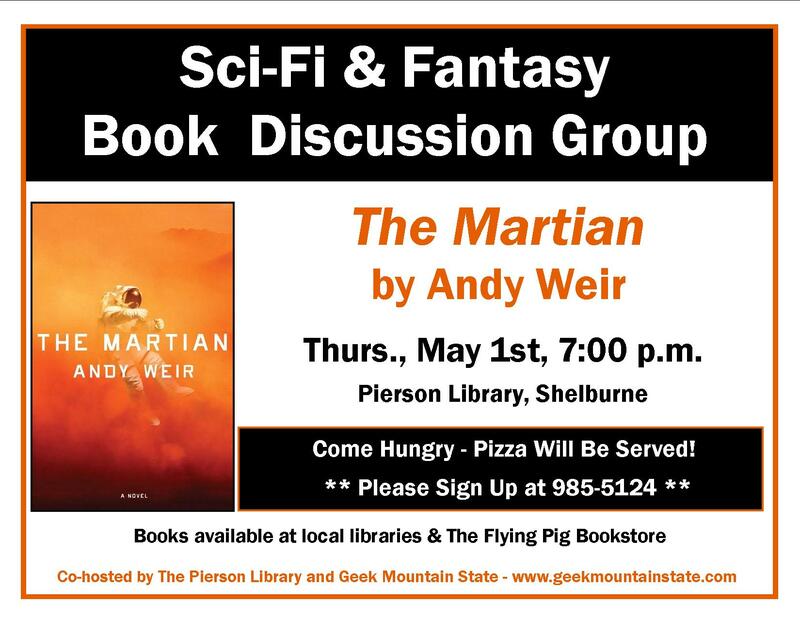 Next week on May 1st, we’ll kick off our first GMS book club meeting, where we’ll be discussing The Martian, by Andy Weir at the Pierson Library in Shelburne at 7:00pm. If you haven’t read the book yet, pick it up – we really enjoyed it, and will note that it’s a really fast read. This entry was tagged Shelburne, The Martian. Bookmark the permalink.